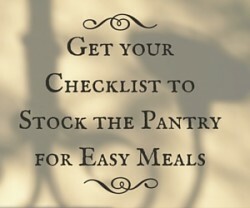 No matter the time of year, keeping the clutter down to a minimum and getting things organized around the house is always a good idea – and helps eliminate some of the stress when you’re trying to relax at home. It’s so nice to come home to a kitchen that’s well-organized, decluttered, ready for cooking and enjoying a wonderful home-cooked meal together. 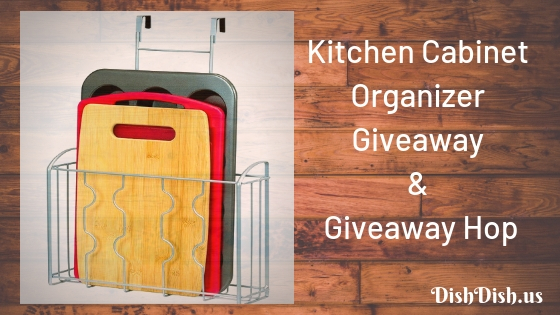 To inspire you in that regard, this month we’re giving away a fabulous kitchen cabinet organizer to help contain your cutting boards, thin baking sheets, or boxed wraps – like aluminum foil, wax paper and plastic wrap. 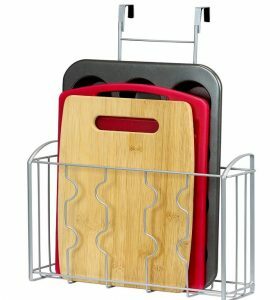 I love the way this organizer is so versatile – use it to control the clattering baking sheets or easily slide in and out your cutting boards; or keep your aluminum foil, waxed paper and plastic wrap close at hand, easy to find, and even better – easy for someone else to put away when you’re finished using it! (Big grin). 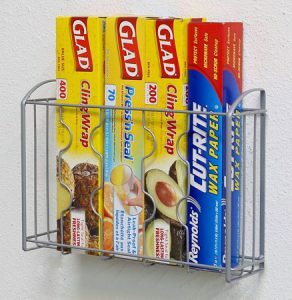 The organizer also sleekly fits either inside your cabinet door (hung over the door or mounted on the inside of the door), inside a pantry door or on the wall (with all mounting hardware included). Which kitchen items do you struggle with organizing? 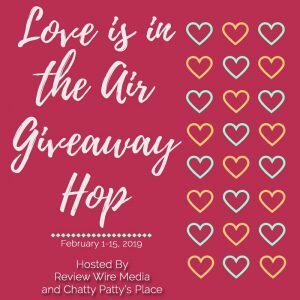 Leave us a comment below and we can brainstorm solutions together! 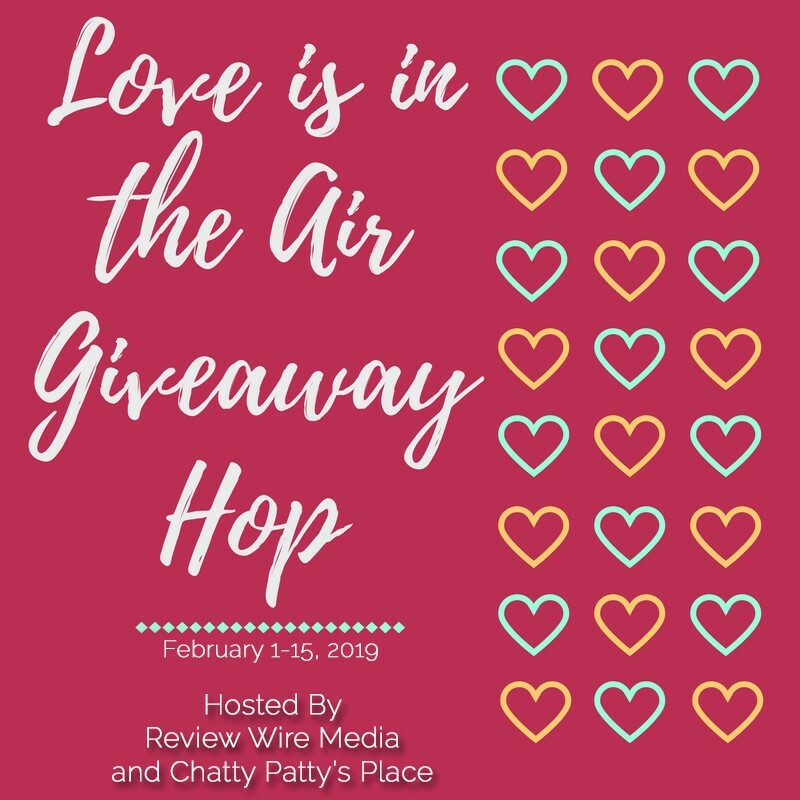 In addition to this fantastic giveaway, we’re partnered up with other blogs in the Review Wire “Love is in the Air” Giveaway Hop – so check out the other giveaways below and enter for a chance to win some other fabulous prizes.